Philip M. Allen is Distinguished University Professor, Chair of Foreign Languages, and Coordinator of Liberal Studies at Frostburg State University, in the University of Maryland System. He is a former Foreign Service Officer in Madagascar and Germany. He is author of several books on the Indian Ocean, and has held three Senior Fulbright Lectureships, including one at the University of Antananarivo in 1999-2000. Maureen Covell is a professor of Political Science at Simon Fraser University in Burnaby, British Columbia, Canada. She wrote her doctoral dissertation on local politics in Madagascar, a research undertaking that involved an extensive stay on the island. In particular, she lived for several months in Antananarivo, Fianarantsoa, and Toliara. Among her acquaintances at the time were several people who were subsequently active in the politics of the Second Republic. 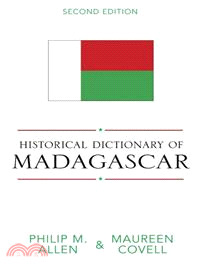 Dr. Covell is the author of Madagascar: Politics, Economics, and Society, and of articles on Malagasy local government and foreign policy.